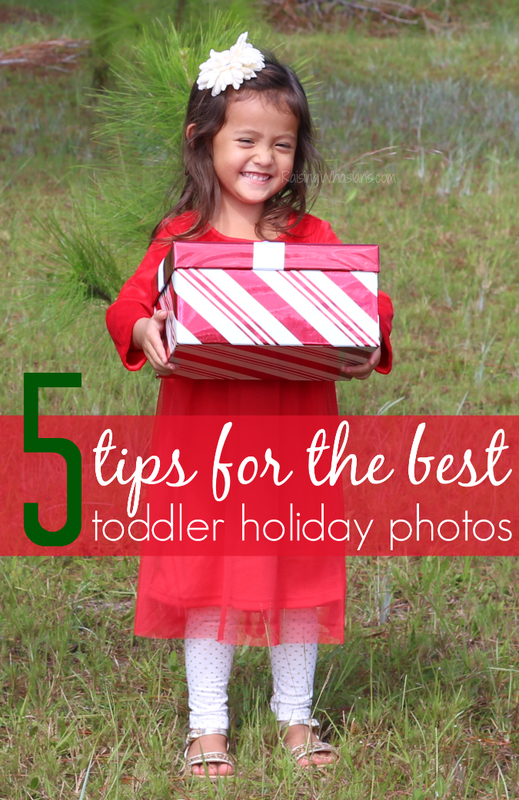 It’s never too early to start thinking about holiday photos, especially if your toddler has anything to say about it. I can feel the pressure of the holidays pushing into the back of my skull! And with mid October already here, I’m already pushing my husband to get ours done and sent out (always the optimist!). Because before we blink, December will be here and guess who will be scrambling to get cards and gifts ordered, addressed, stamped, mailed….I can feel the grey hairs forming. 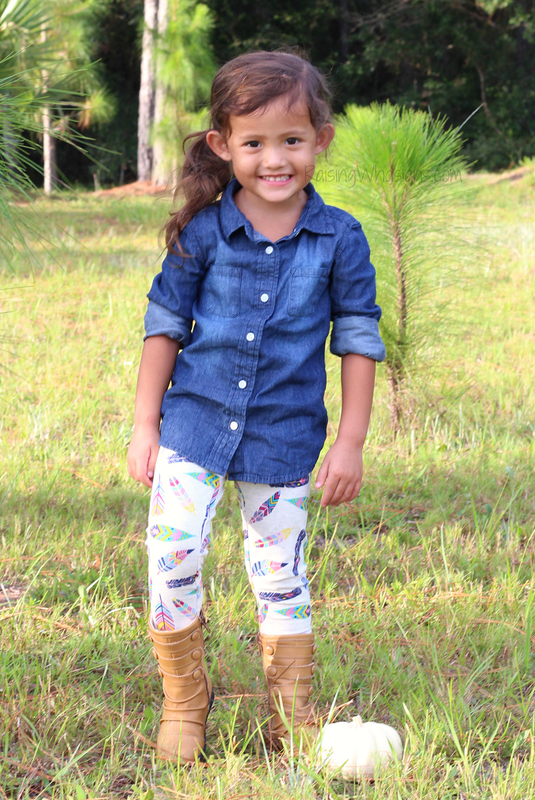 But getting the perfect pictures of my toddler? It’s not easy to wrangle a toddler for adorable holiday pictures. But with quite a few years of experience under the belt, I’m spilling the secrets. 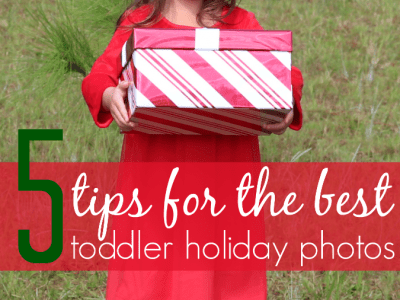 Take the Best Toddler Holiday Photos with these tips, plus how I found the Best Deals on Kids Clothes! 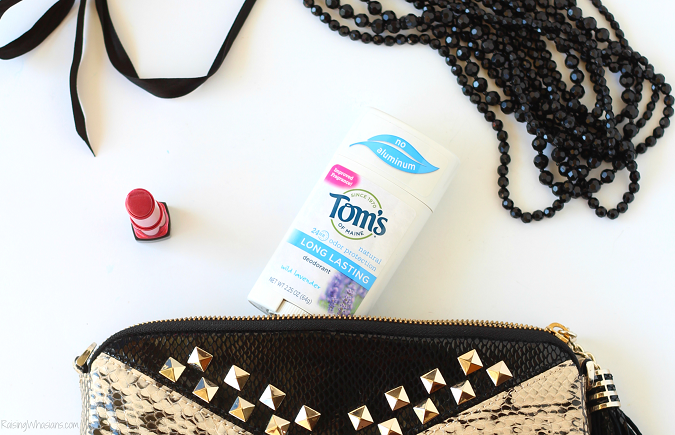 Conquer your wardrobe with these easy Mom Day to Evening Style Hacks with Tom’s of Maine Deodorant. This post was developed in partnership with Tom’s of Maine. All opinions are my own. At 30-something, I can finally say that I own a professional wardrobe. Going straight from college ripped jeans to cartoon printed scrubs, I never found the need to own slacks, blazers, and dresses. But as a mom blogger, I was shocked how much I actually needed to look like a member of society. Meeting clients in yoga pants and messy mom hair – NOT an option. I needed to look polished during the day and ready for dates with the husband at night. 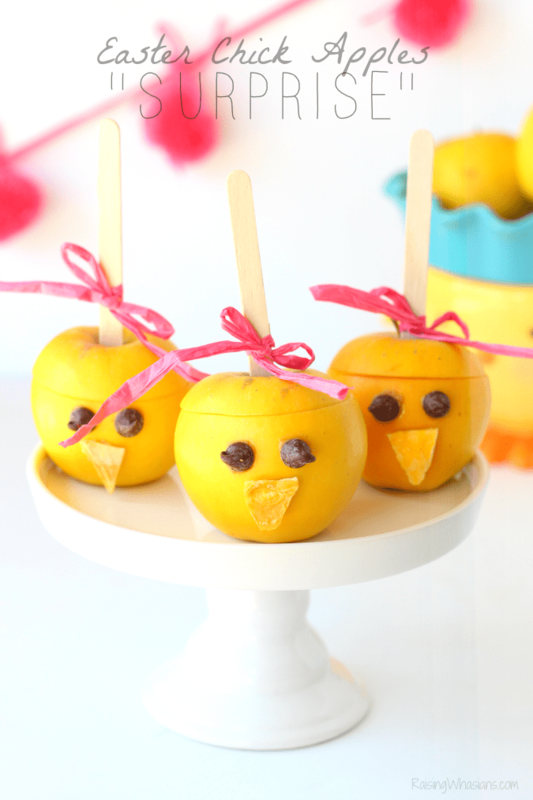 So moms, this post is for you. Conquer your style with these easy Mom Day to Evening Style Hacks. 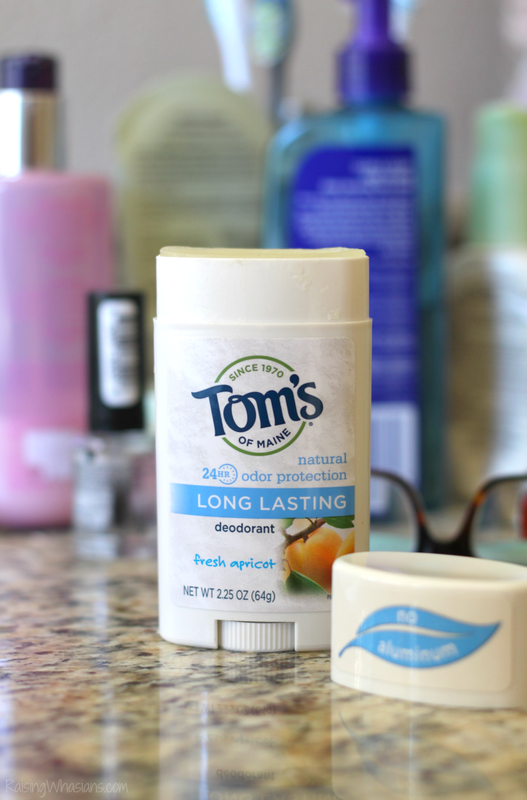 Check out my best fashion tips for transitioning your mom wardrobe from day to evening plus scroll down for a Tom’s of Maine Deodorant giveaway! You know how you have that one versatile statement piece in your closet? Focus on it. Can you dress it up and dress it down? Does it have an interesting design, fabric appeal, a beautiful silhouette? Most of all, do you feel confident in it? Then this is the perfect day to evening essential for you! Cottons for the work day transition easily to silky materials for the evening. A solid color can easily change to a bold pattern. Layers of clothing can transition to singular pieces. Keep your fabrics in the mix when styling day to evening looks. Let’s not forget my favorite part of day to evening wear. Accessories are my passion! Change out your delicate daytime jewelry for bolder pieces, like a statement necklace. Swap out your laptop bag for a snazzy clutch. Be sure to add a touch of YOU in your outfit too! The easiest way to transition your day to evening wear? SHOES. It’s all about the shoes this fall. My black suede wedges are perfect for walking around the office all day. But easily trade your sensible heels for bold black ankle boots for evening. And since this Floridian only gets like 2 weeks to enjoy “fall” weather, you bet that I’m wearing my cute booties as much as possible! Need a little style help? Take a cue from the seasons. With fall temperatures finally hitting Florida, I’m transitioning everything in my wardrobe to fit in with the weather. Cool breezes means that it’s the perfect time to bust out your fall booties, cozy cardigans, and cool colors. It’s been a long day at work, right? Freshen up before hitting the nighttime scene! Hair and make up are easy to remember. But smell? I have to be conscious of that one, especially in Florida where sweat is part of my daily wardrobe! Good thing that I pack Tom’s of Maine Deodorant. Not only does this deodorant help me to transition from day to evening with ease, but I love how each ingredient cares about my body 24-hours a day. Ingredients with a purpose. Just like me, Elise relies on Tom’s of Maine deodorant and the quality ingredients inside to give me long lasting freshness all day. Whether meeting clients during the day, or having a date at night, I need to not only look good, but smell good! But as a mom, why use products with fillers and harmful ingredients? I don’t have time for that! Give me simple, natural and useful. Just with any natural ingredient product, be sure to give your body 7 days to adjust, allowing the product to work with your body’s unique chemistry. For me, I personally love Tom’s of Maine deodorant in Tea Tree. Smells so amazing and makes me feel confidently fresh all-day long! 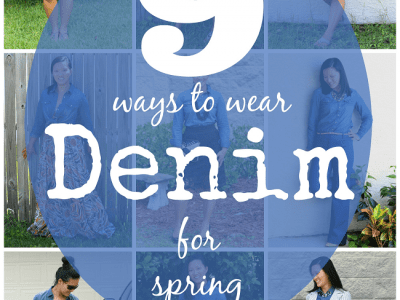 Moms, don’t let your style suffer. Conquer your wardrobe with these Mom Day to Evening Style Hacks! Look amazing. Feel confident. And smell like success all day with Tom’s of Maine Deodorant! Be sure to follow Tom’s of Maine via Twitter, Facebook, Instagram & YouTube for the latest in natural products. This is a sponsored conversation written by me on behalf of Amopé™. The opinions and text are all mine. 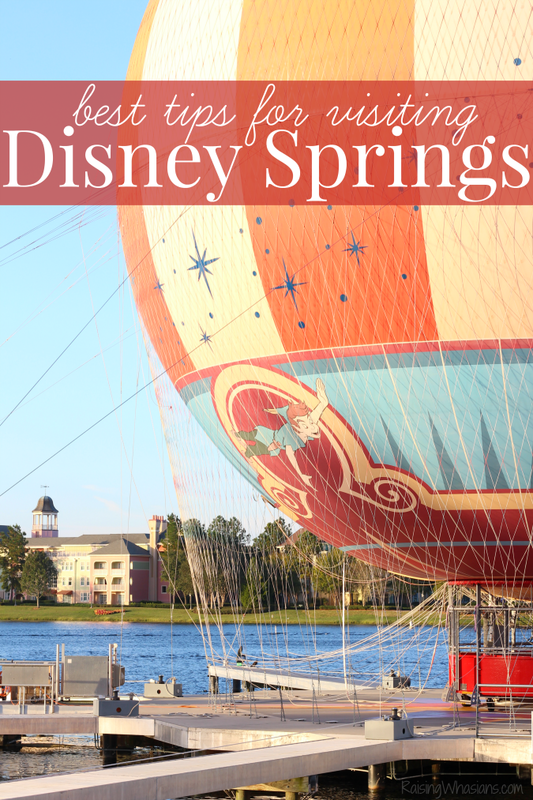 Discover a hidden Florida treasure with me. 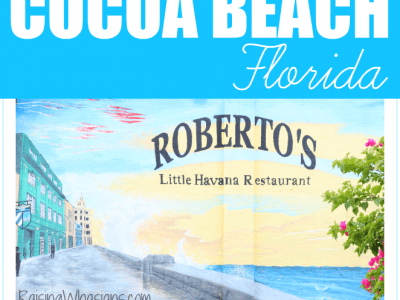 Today I’m Exploring Cocoa Beach Art Murals with Amopé. This is the question my husband – a Cocoa Beach local for over 30+ years – just asked me. Um…WHAT?! Cocoa Beach, Florida is the closest beach to Orlando and also the hometown of my partner in crime. Home to surfing, Kelly Slater, Ron Jons, sandy beaches and relaxed “Cocoa Beach living,” this quiet tourist town is my happy place when I need an escape from life. It also is a place to discover beautiful beach inspired artwork. Today, I’m exploring Cocoa Beach Art Murals with my husband – and helping him to find just a few more reasons to love his little hometown. Happy Back-to-School, parents! Today my son embarked on yet another great adventure in the world of 2nd grade, and everything went off without a hitch…well, almost. 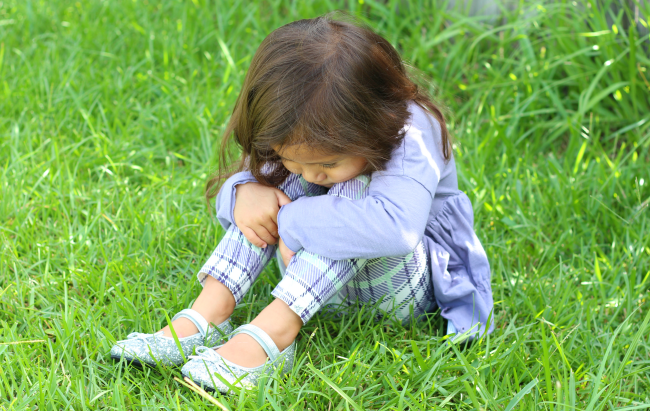 Back-to-School contains a whole new “x” factor when a toddler is involved. In yet another humorous edition of mom life parenting, I bring you What Back-to-School Means to a Toddler. The side of laughter is absolutely free – as well as the adorable toddler cuteness. Send your kids Back-to-School in style with this Boys Back-to-School Style post, inspired by 1 Hooded Shirt 4 Ways. This post is sponsored by Everywhere Agency on behalf of OshKosh B’gosh; however, all thoughts and opinions expressed are my own. 6 days. I cannot believe that it’s only 6 days until my son walks through the doors of his brand new school and into 2nd grade. With his new haircut, new glasses and a summer growth spurt, I see my life flashing before my eyes. Is my sweet boy 7 years old going on 20? It has become quite apparent how much he is growing up – for instance taking my son Back-to-School shopping has become more of a challenge. More opinionated and independent as ever, we have a new battle ground. The mall. Say hello to summer fashion with this adorable Coral Dress Two Ways + The Perfect Pair of Glasses. I have a “Superman” sized secret. I wear glasses. 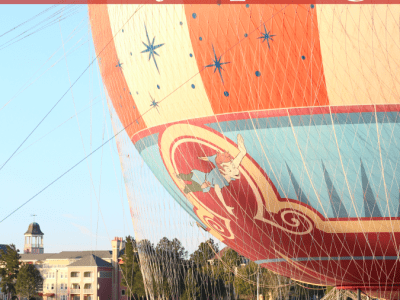 It’s not something that I’ve shared on the blog before. Perhaps scarred by my childhood, it’s a constant reminder of the teasing, the stares and the insecurities I had so many years ago. I remember begging my parents for contacts. I remember wearing them everyday since. Buried down deep, only those who really knew me – like REALLY knew me – had a grasp on my Clark Kent Superman secret. But as I get older, I realize the vanities I once obsessed over as a kid were frivolous and silly. I never want my kids to see or experience such insecurities. So why should I hide behind mine? I wear glasses. Why not celebrate that? So here I am today displaying the very glasses that once consumed me with anxiety as THE confident accessory of this post. Ironic. 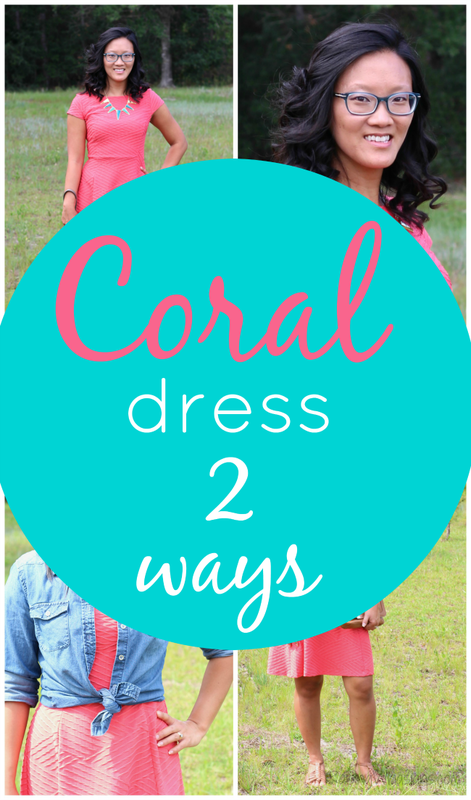 Today I share my new favorite for summer, this Coral Dress Two Ways, accented with The Perfect Pair of Glasses as the star of the show. Spring is tricky here in Florida. I have one foot in the few glorious weeks of humidity free perfection – around 60-70 degrees. But then I have the other foot drenched in sweat, heat and grossness – aka we hit 90 degrees this past week. But spring wardrobe shopping is calling my name. And therefore I go shopping. I’ve picked up the most adorable Denim Shirt for the new season, and love how versatile it is for my everyday mom wardrobe. 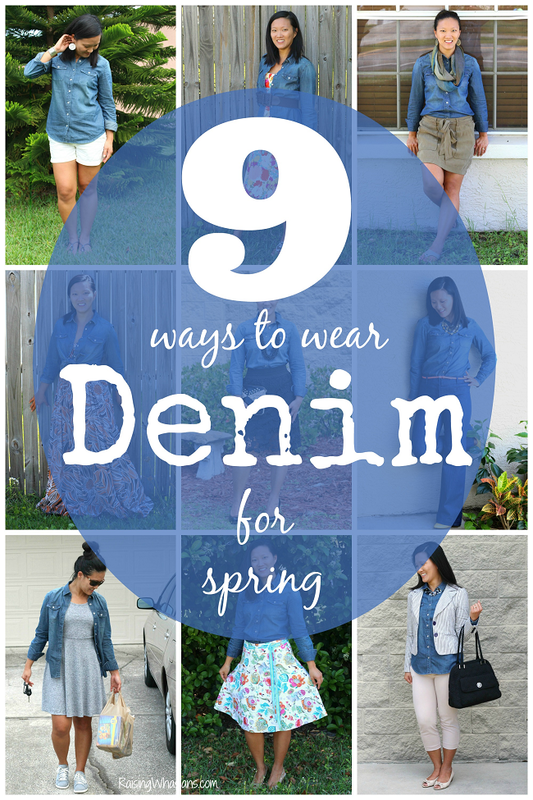 Check out these 9 Ways to Style a Denim Shirt for Spring plus be sure to scroll down for a giveaway!